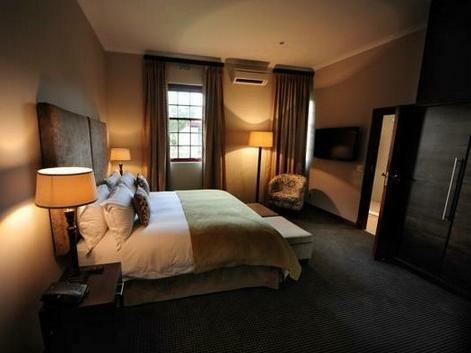 ﻿ Meerendal Boutique Hotel Cape Town. JIMAT di Agoda.com! Ada soalan mengenai Meerendal Boutique Hotel? 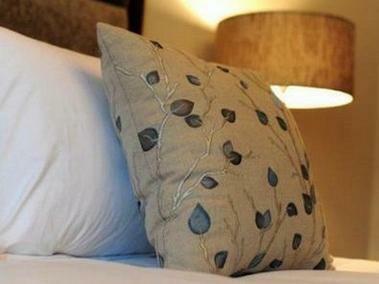 Terletak di Greater Northern Suburbs, Meerendal Boutique Hotel merupakan tempat menarik untuk memulakan pengalaman di Cape Town dan kawasan sekitarnya. Hotel ini tidak terlalu jauh dari pusat bandar: hanya sejauh 32.6Km, dan kebiasaanya mengambil masa kira-kira 30 minit untuk sampai di lapangan terbang. Persekitaran yang terjaga dan kedudukan berhampiran dengan Teater Barnyard, Clara Anna Fontein, Muzium Tanah Liat Durbanville membuatkan penginapan ini menjadi tarikan. Meerendal Boutique Hotel juga menawarkan banyak kemudahan untuk memperkayakan penginapan anda di Cape Town. Wi-Fi percuma semua bilik, Wi-Fi di tempat awam, tempat letak kereta, bilik keluarga, restoran merupakan beberapa kemudahan yang membezakan Meerendal Boutique Hotel daripada hotel-hotel lain di bandar. 7 bilik di sepanjang 1 tingkat menyediakan suasana nyaman dan menyenangkan. televisyen skrin rata, karpet, kopi segera percuma, teh percuma, linen boleh didapati di beberapa bilik. Sama ada anda peminat kecergasan atau hanya mencari cara untuk bersantai setelah seharian bekerja, anda akan dilayan oleh kemudahan rekreasi kelas tertinggi seperti taman. Temui gabungan yang menarik antara perkhidmatan profesional dan pelbagai kemudahan yang ada di Meerendal Boutique Hotel. The hotel can't be regarded as 5 star but it is certainly beautiful. There are permanently events on and people taking pictures which is not a major issue but as 5 star hote and such a beautiful setting I would expect an element of privacy. Are they an events venue or a hotel as exclusivity is the first. There is not hotel Resturant so again getting a voucher every morning is not 5 star. That is what I expect in 3 star. They have work to do in some smile basics and they need to sort out the hotel being separated from the hustle and bustle on100 hundreds of cyclists and event attendees. Another example is there is no parking at certain times. Communication on facilities was poor. We had a lot do things that did not work like 1. Safe 2. Hair dryer and 3 airconditining. Overall a beautiful setting but not 5 star standard or service. It lacks that personal and exclusive service. Lovely room, although no view, but set in beautiful vineyard - recommend it. Stay was good. Every time I wanted to relax on the weekend, Sunday afternoon, the area where the cleaning staff congregate is outside some of the rooms. these people have no regard for any guests. They make as much noise as possible they bang doors open and closed and shout to one another as loud as possible. I tried to sleep in the afternoon. It was impossible !!!!! Early mornings I could not sleep as at 6h30 the commotion starts all over again. does nobody bother to train staff??? I own a lodge on Mozmabique and we do respect our clients and their privacy so we don"t clean at early hours and bang doors and sweep floors or pathways. Meerendal is obviously a hotel being left on remote control without supervision. Windows shutters banging open and closed in the wind all night, No fasteners to keep them in place. Maybe stick to selling wine !!! Fantastic. Was sad to stay only two days. Loved the stay and will definitely recommend this to others. Arriving at the hotel, we found out our room was not in the main building but next to it and we were not informed of this. Check in took less than a minute and nothing was explained. We found out later we needed coupons for breakfast, although it was included, and we ended up paying for breakfast. The TV and the telephone didn't work. Although we put a “do not disturb” sign on the door, we found the cleaners using the backdoor to enter after we went out for a short while. Location is good, peaceful and away from the city and the food at the restaurant is excellent. Its inconvenient for business. Very dark road approach at night. Didn't like outside room- one books because of the old beautiful house. Restaurant disconnected from house. May be nice if you have a lot more time than I had. Was one of the best hotels we've ever stayed at. Staff were excellent, welcoming and very attentive to any need. A beautifully restored hotel with a cozy nightly fireplace to relax around with. A beautiful setting away from the hustle and bustle of the city but close enough to be in it in a short time. Amazing stay. Made to feel very much at home and as part of the family. The wine tasting is highly recommended! Great hotel and very good value being a short drive outside of the city. No serious issue, staff cold have provided Nespresso coffee on request, they have a machine available in room but no pods? Heerlijk verblijf op historisch wijngoed met ontzettend vriendelijk personeel die hun best doen om het je naar de zin te maken. De suite is enorm groot met hele grote en luxe badkamer.